With a population of over 60,000, Wrexham is a town situated in North Wales close to the country’s border with England. Lying between the Welsh mountains and attractive Cheshire, there is some lovely property to be found in the Wrexham area. At My Home Move Conveyancing we have been developing our knowledge of local markets since 2002, allowing us to bring a specialist, fixed fee conveyancing service to our clients in Wrexham. When buying or selling property in Wrexham you’ll require the services of a lawyer to complete the legal work on your behalf. 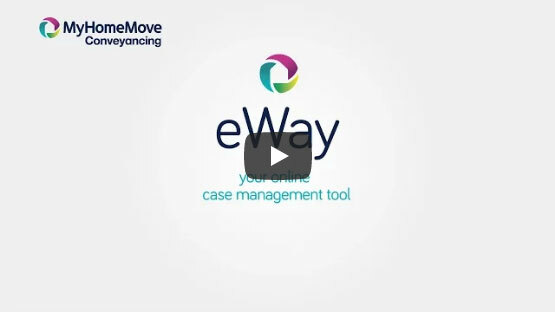 At My Home Move Conveyancing we have honed our customer service skills along with our innovative use of technology and knowledge of the local market to bring an outstanding service to our clients. Our fixed fee conveyancing service comes with no hidden extra costs, so you can budget for how much you’re going to be paying form the outset when you choose us to be your Wrexham conveyancers. What’s more, if you don’t end up moving, you won’t have to pay us anything. We assign a dedicated conveyancer to each of our clients, meaning you’ll have a fixed point of contact for the course of your case with us, who will provide you with regular updates on the progress. My Home Move Conveyancing are pleased to supply our conveyancing services in Wrexham to customers across the local area in spots such as Acton, Hightown and Rhos-Ddu. The average house price in Wrexham is £126,724. Over the past year semi-detached properties were involved in most sales, going for an average price of £139,960. Detached properties fetched £204,504, terraces £105,413 and flats £91,253. Wrexham has a long history that can point to Mesolithic settlement in the area, in addition to Roman settlement and Mercian conquest. The Industrial Revolution brought large amounts of growth to the town, which now boasts a pleasant centre with a range of modern amenities such as the Central and Island Green retail parks, as well as new development Eagles Meadow. The town is well connected when it comes to transport, and indeed Wrexham has four railway stations. It is possible to get to nearby Chester in around 15 minutes by train, while it’s around an hour to Liverpool Central. The A438 heads all the way to the south coast of Wales and Swansea, and north to Chester, beyond which you can join the M56 and head towards Manchester. There is a good range of schools in the area for families to take into account, including a number of Welsh language options. Ysgol Bodhyfryd CP and Ysgol Plas Coch CP are among the primary choices, while Ysgol Morgan Llwyd is a middle school and secondary school, and Rhosnesni High School and Ysgol Clywedog are among the choice for older children. Yale College provides education for adults, while Glyndŵr University supplies higher education to the area. Split by area. Figures are for Rhosddu; the closest to central Wrexham.